Just a few years ago, the topic of "Marijuana Tourism" was something of a joke exchanged between college guys dreaming of visiting Amsterdam. Weed, cannabis, marijuana - whatever you want to call it, was something illicit for most Americans despite the fact that a significant percentage of our population either actively consumed it or had in the past. Even those who didn't, wondered what it might be like to do so again in a safe environment free from the risk of arrest. Today, recreational marijuana is legal to different degrees in nine different states and territories including: Alaska, California, Colorado, Maine, Massachusetts, Nevada, Oregon, Washington state, and Washington D.C. Because of this rapidly changing landscape and the promise of more states to follow in subsequent election years, the concept of people traveling to partake in some herbal refreshment has become a real trend for the travel industry. This is true for people planning vacations from neighboring states as well as local visitors looking to explore travel options that include cannabis culture the same tourism opportunities cater to people wanting to visit breweries, distilleries and vineyards. While there are those who look at cannabis and marijuana related tourism as simply an opportunity to get stoned, I'm not interested in promoting that - just like I wouldn't encourage you to get smashed on whiskey while on a Kentucky Bourbon Trail tour. This is something that is increasingly legal for responsible adults and should be looked at in that context. As such, there's a wide spectrum of opportunities and perspectives from those in the tourism industry and likewise from visitors looking to explore new opportunities. This ranges from the guys weekend hiking in Colorado where they might light up a joint next to a beautiful mountain lake and relax for a few moments while sharing stories. Or it might be a group of cannabis culture enthusiasts for whom the whole point of the trip is to focus on the marijuana culture. Either one is fine with me as long as you are responsible with consumption and do so in a manner that is safe. For instance, just as you wouldn't consider drinking and driving, or doing shots then hitting the slopes - be safe when you consume marijuana as well. When I started the research for this post, I wasn't really sure what to expect. I knew that Colorado had legalized recreational marijuana in 2012 but I didn't quite understand the impact on the tourism market. Today, there are weed tours, "bud and breakfasts", and even airport transportation services that will stop at a dispensary before delivering you to your hotel. While restrictions still exist - such as weed being prohibited at the Denver airport and smoking not being permitted at various hotels and rental properties, Colorado's marijuana tourism industry is by far the best developed in the United States today. While some states that legalized recreational consumption of marijuana to residents only, Colorado extends that to tourists as well. The current recreational marijuana law allows the purchase of up to one ounce per person and that has created a dispensary network with more locations than Starbucks and McDonalds locations combined! Colorado Cannabis Tour - guests will tour a growing facility as well as related arts demonstrations and learn about the growing industry in Denver. Various other cannabis tours are available depending on audience and budget. Sushi, Sake and Joint Rolling Class - guests will learn how to create the perfect sushi rolls and roll the perfect joints. Puff Pass and Paint - an all-inclusive cannabis-friendly art class (these are now offered in Denver, Washington D.C. and Portland, Oregon). Of course, there are numerous airport shuttle pickup services that cater to marijuana tourists including 420 Airport Pickup and Cannabis Tripz. While Washington State also legalized recreational Marijuana in 2012 and Oregon followed in 2015, the tourism industry has not boomed the same way it did in Colorado. Despite that, there are several opportunities for people looking to enjoy a good high while exploring the Emerald State. For instance, imagine relaxing around the camp fire staring up at the stars after a day of hiking and exploring some of the most beautiful terrain on earth would make for a great getaway. However, be careful to note that while marijuana is legal in Washington State, that Federal lands like those controlled by BLM and that National Park Service are administered by the Federal government and they still consider weed to be an illegal drug. While your chances of being arrested for it depends largely on how conspicuous you are, you should do what you can to avoid confrontation. While each state has slightly different regulations with respect to legalization of marijuana, they all have made possession and consumption legal - but recreational marijuana sales are generally still illegal. Over the next year though, California, Nevada, Maine, and Massachusetts are all set to open legal dispensaries and establish recreational marijuana regulations. Once that happens, I would expect that you will see elements of the tourism industry begin to evolve in these states the same way it has in Colorado. This is in large part because each of these states is already heavily invested in tourism. People seeking cannabis related experiences should simply add to already strong travel and tourism industries in those states. In particular I would expect to see Nevada and California begin to cater to regional and national tourists wishing to explore farms and processing facilities as well as custom experiences such as tastings and "weed trails" similar to what has evolved in Colorado. While the big story is clearly that people can smoke weed legally now in various spots throughout the United States, Jamaica and Amsterdam remain key marijuana tourism destinations. In particular, Amsterdam is just a fabulous city to visit and it has developed a pretty mature weed culture. During a visit last fall, I was impressed that visiting a coffeeshop was no different than stepping into a bar. It wasn't an situation where you had to hide your face or anything like I had expected. 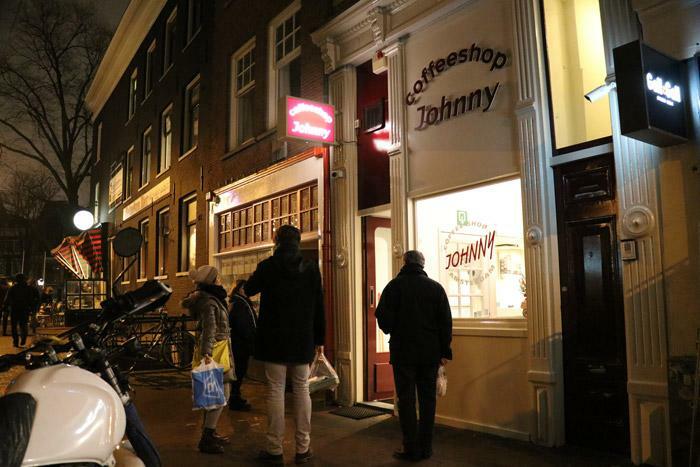 Instead, the coffeeshop I visited - Coffeeshop Johnny - was brightly lit, clean, and the staff was extremely friendly. Considering it was obvious that we were American tourists, there was no awkwardness. A menu was provided, questions about different marijuana options were answered professionally, then we selected a pre-rolled joint, and enjoyed a few tokes before walking around and exploring the city at night. Visitors to Amsterdam looking to explore more of the Marijuana Culture should also check out the Hash Marijuana & Hemp Museum, the Cannabis College - featuring an organic Cannabis garden, or one of the Cannabis Tours offered by different guides and tour companies throughout the city. These tours vary by operator but generally give tourists a good overview of the history and future of the coffeeshop industry in Amsterdam. These cannabis tours also generally stop for a visit at some of the more famous coffeeshops. On the other side of the world, Jamaica has a much more salacious reputation when it comes to the cannabis and the marijuana industry. After all, it's the birthplace of Bob Marley and unlike the United States or Amsterdam, you seemingly can't get a cab here without being offered weed for sale. Likewise, the beaches and other tourist destinations are dominated by people trying to sell weed. Jamaica is a very poor country and they know wealthy American tourists come to their country and enjoy smoking weed in an environment that they believe to be legal. However, despite the cultural associations, marijuana was illegal in any form until recently. Even today in Jamaica where "ganja", Rastafarian culture, and reggae music are as popular as ever, marijuana is still not fully legal. However, in 2015 it was de-criminalized and possession of up to two ounces is considered a petty crime with a penalty of about $5. Under that new law, visitors to the island are even allowed to purchase a prescription at the airport and other locations. This marijuana prescription then allows tourists as well as residents to consume medical marijuana legally. This dramatic change in marijuana's legal status in Jamaica has opened the doors for an explosion in tourism opportunities. While the Jamaican cannabis industry is still in it's infancy, enterprising tourism operators are offering travelers opportunities like the Hot Box Bud & Breakfast where, in addition to offering a "ganja friendly" resort, also offers tours of local ganja farms, visits to the Bob Marley Museum and other reggae and Rastafarian related travel opportunities. In western culture, we're absolutely seeing a liberalism of marijuana laws and that means that people are beginning to step out of the shadows to enjoy things legally that were once taboo. Only time will tell how this market will evolve, but it's clear that it's going to be an interesting market to watch!